Conrad M. Siegel, his wife, Gail, and his LVC alumni partners in Conrad Siegel, one of Pennsylvania’s largest employee benefits firms, announced a significant gift to Lebanon Valley College to create a new faculty position in its renowned Actuarial Science Program. The professor will focus on both teaching and actuarial science research that advances the field of study. Several of Conrad Siegel’s employees are LVC actuarial science alumni, including five of whom became partners with ownership in the firm. 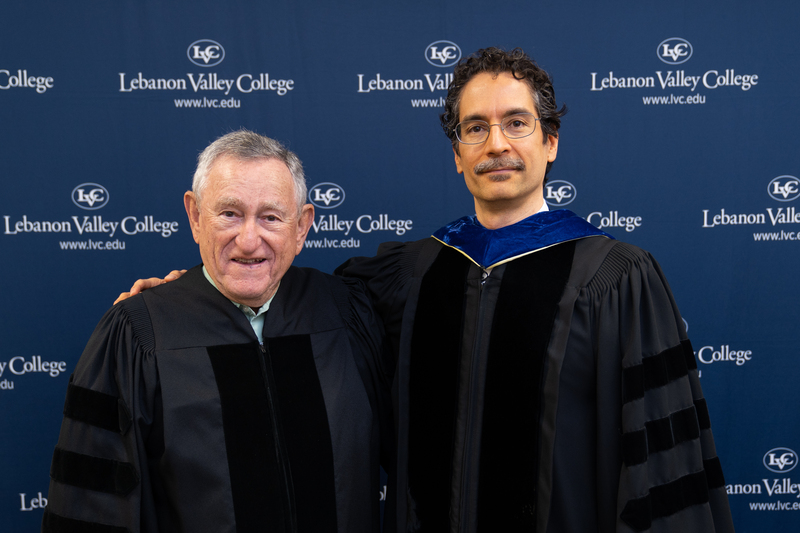 Siegel collaborated with Dr. Barney Bissinger, late chair of LVC’s Mathematics Department, to create the Actuarial Science Program at LVC in 1964. 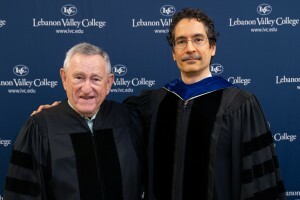 LVC conferred an honorary degree to Siegel in 2018 for his “instrumental role in establishing one of the nation’s early actuarial science programs… and for founding one of the most respected actuarial and financial services firms in the country.” The U.S. Bureau of Labor Statistics estimates actuarial employment will grow by 22% from 2016 to 2026. Lebanon Valley College (LVC) started its program in actuarial science in 1964. Since, it has become one of the top programs in North America and achieves superior student outcomes. The curriculum covers 100% of the Society of Actuaries’ (SOA) preliminary exam syllabi and is updated continuously concerning SOA and Casualty Actuarial Society (CAS) exam changes. Program majors pass an average of three actuarial exams before graduation and enjoy a near one-hundred-percent job offer rate in a growing field that boasts a median salary of more than $100,000. LVC has produced more than 160 Associates and Fellows of the SOA or CAS.